1. Elf - The classic Christmas movie. I think this is the number 1 on everyones list and is probably the funniest film ever made. If you only watch one Christmas film this December it has to be this one. 2. Beauty and the Beast: The Enchanted Christmas - A lot of people only know the original Beauty and the Beast (Number 11) however, there is a Christmas version that is even more magical and was a childhood favourite of mine. 3. Home Alone 2 - I am not a big fan of Home Alone when it comes to Christmas movies but I definitely enjoy watching the sequel in the series which leaves me wanting to go to NYC even more! 4. A Christmas Story - This film is a popular American Christmas movie and I have come to realise over the years that my family may be the only people in England that have seen it (this may be an exaggeration however, no one we have asked has seen it). It is a black comedy about a boy who wants a BB gun for Christmas but everyone keeps saying he 'will shoot his eye out'. If you haven't seen it then watch it and you will love it. 5. How The Grinch Stole Christmas - Jim Carrey as The Grinch is a Christmas must in December. His character and acting is 100% perfect and I love watching this film every year. 6. The Holiday - A rom com that is necessary at Christmas. Who else wants to swap their house for a festive romance after this film? 7. 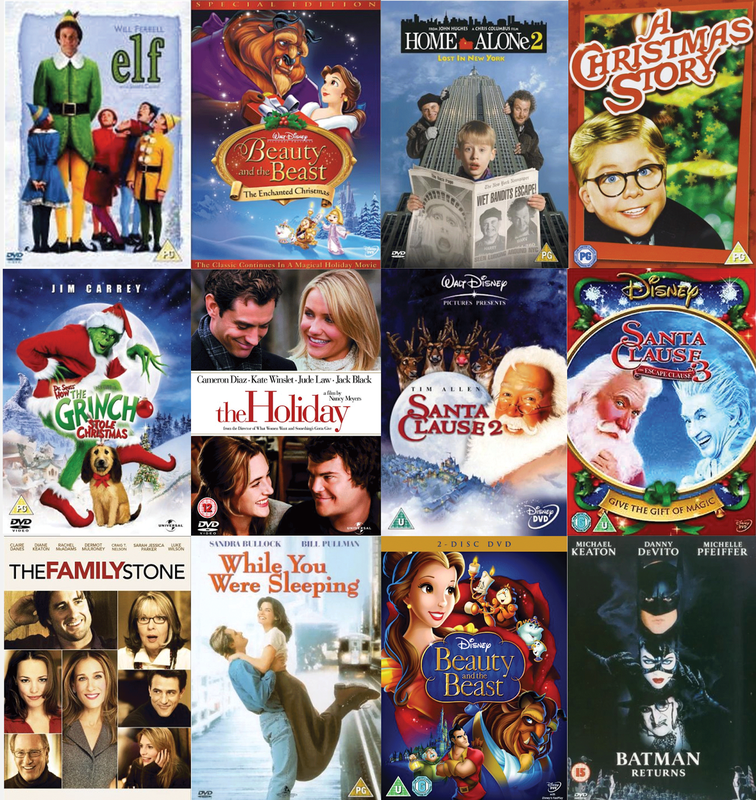 Santa Clause 2 - Again, like Home Alone, I am not a big fan of the original Santa Clause but number 2 is a big favourite of mine and the love story behind it is really heartwarming this time of year and even features The Tooth Fairy and Mother Nature! 8. Santa Clause 3 - If you like number 2 then play number 3 after. A film all about trying to save Christmas (the usual theme of Santa Clause movies) with the evil Jack Frost trying to take over the North Pole. 9. The Family Stone - A family classic for Christmas all about the different personalities and festive cheer that all families experience when we all get together for a family meal. It has some ups and downs but as always, it ends well and you will enjoy it time and time again. 10. While You Were Sleeping - Another rom com (you can never get too many this time of year) starring Sandra Bullock who tries to pretend she is the fiancé of an unconscious man. It sounds vague but trust me you will love it. 11. Beauty and the Beast - The classic Christmas Disney film that children and adults love to watch. You may see this as a romantic film of a girl falling for a beast as she see's the true him inside or a woman falling in love with her kidnapper - either way its romantic and should be on your TV, Computer or Tablet this Christmas. 12. Batman Returns - An unlikely film featuring on my list but this has to be my favourite Batman film (and I am a big Batman fan) with an amazing cast and set at Christmas this is a film all girls can get away with watching with their partners.